​Landing Sites is a research trajectory in which body and space are set into relation of each other. Cocky Eek explores and develops wearable interfaces to create new sensory relationships in which our inner landscape converges with the landscape that surrounds us. The interfaces will stage us in our contemporary perception in which we are part of and separate from our environment. Landing Sites took place at two dynamic inter-tidal sites in the Netherlands. In the winter she started her research as an artist in residence of the Satellietgroep on the ephemeral landscape of the Zandmotor. Based on the concept of “building with nature”, the Zandmotor was created in 2011 as a defense against coastal erosion. 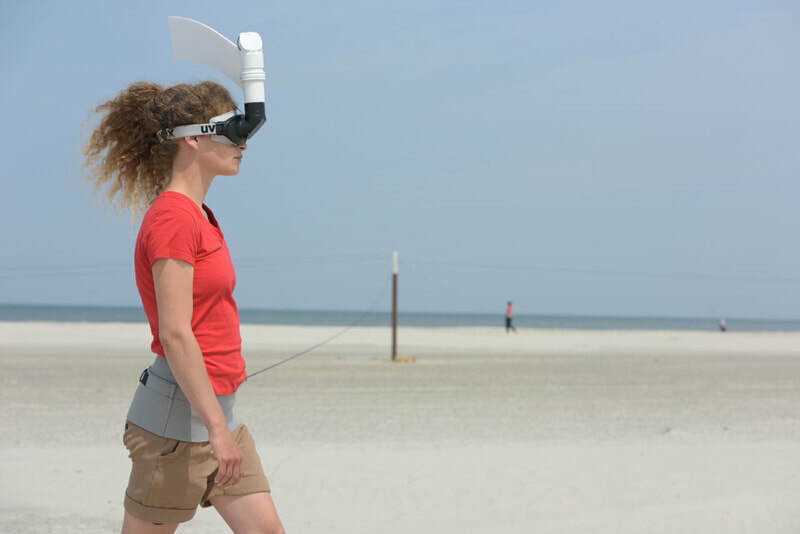 This experimental solution uses the natural movement of the tides, wind, waves and currents to replenish the beaches of South Holland. 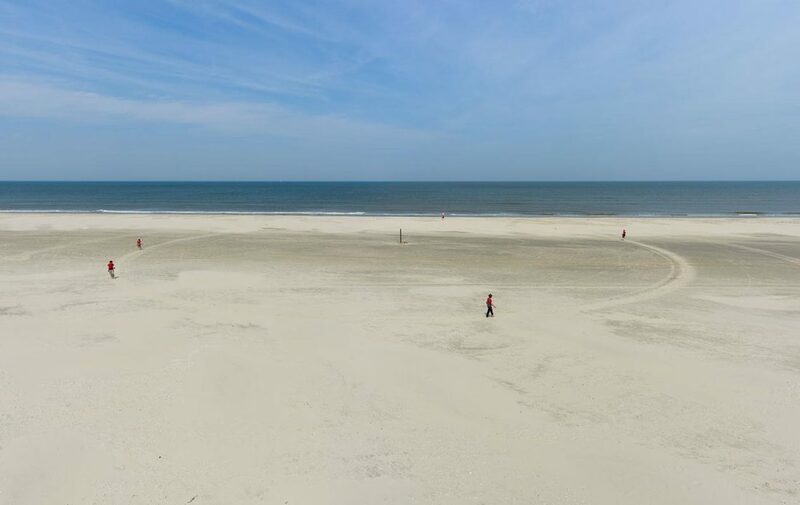 Almost as an vanishing land art intervention, the Zandmotor is expected to disappear within 15 years. 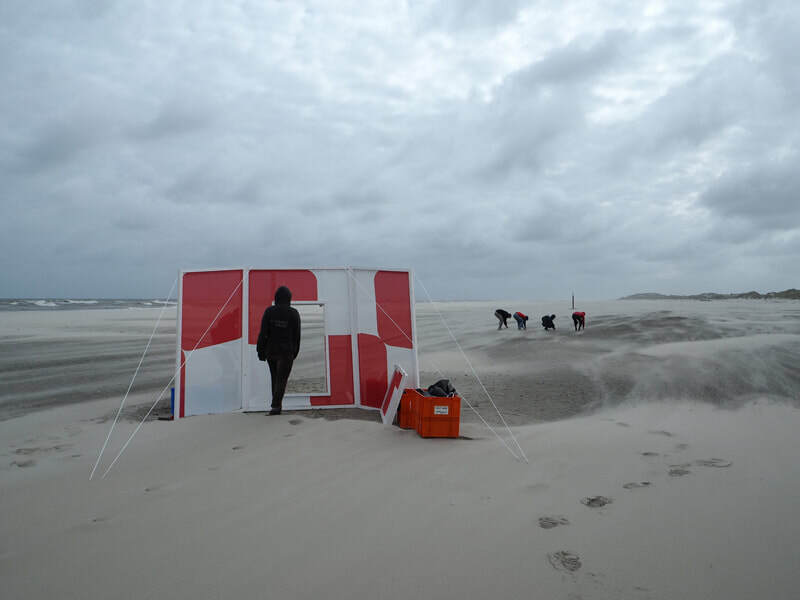 Landing Sites has continued her second stage at the dynamic so called “walking dunes” located at pole 18 during the Oerol festival at Terschelling Island. At this specific coastal area, the research was accessible for a broader audience who were gently lifted by her gustily winds and catched by new terrain. concept Cocky Eek | research Cocky Eek, Matthijs Munnik, Geartsje van der Zee | dramaturge advice Boukje Schweigman| production Linda Witpaard | crew Rachel Schuit, Hannegijs Jonker, Ben Terwell, Florencia Resnik, Anne van Rij, Eefje Aerts, Theun Karelse | Landing Sites is a co-production of Schweigman&, Oerol and Satellietgroep, financially supported by Stroom Den Haag.